Good Life Juice - In the News! Good Life staff member, Lauren, fills bottles of cold-pressed juice. Good Life Juice, sells about 1,000 bottles weekly." — Image Credit: CHRIS BUSH/The News Bulletin"
A Nanaimo couple looking to get out of the big city got a fresh start selling Good Life Juice on the Island. Andrea and Gabe Dershin were living in New York City when they decided Canada was a better option for raising children. They were both self-employed in New York. Andrea, who attended high school and university in Nanaimo, was a yoga teacher and wellness coach with certification in plant-based nutrition from Cornell University. Gabe was a music producer and DJ. They met years earlier in Beijing. Family connections and an easier lifestyle made Nanaimo attractive, plus Andrea was already preparing to start a cold-pressed juice company and discovered there were none operating on the Island. They returned to the Island in 2013 and started Good Life Juice in April 2014. Drinking fresh juice is part of an overall lifestyle choice to do things to improve general physical and mental health. “It’s a very labour-intensive process,” Gabe said. Andrea’s approach to juicing – cold-pressing, high vegetable content recipes balanced with fruit flavours, no pasteurization – and the Dershins’ general approach to business have resonated with customers. They now produce and sell about 1,000 bottles of juice weekly, which are delivered directly to Vancouver Island customers who account for nearly all of the company’s business. 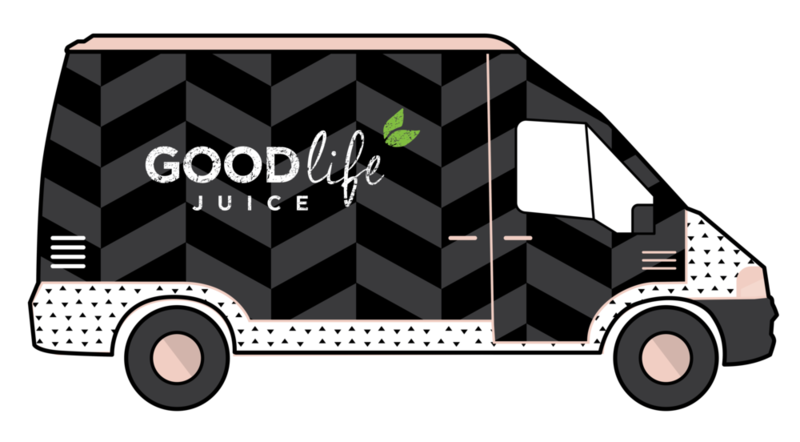 Andrea and three Good Life Juice staff are nutritionists who spend a lot of time helping customers, free of charge, who call for advice on a gamut of problems that can include weight loss, depression and even cancer. “Doing a juice cleanse, there’s benefits to it, but what we’re really about is the long term – helping people really shift and make changes, rather than doing a cleanse and then go back to what you were eating,” Andrea said.